I posted this card back in 2009 when I first started to blog. Hope everyone has a happy, safe holiday. 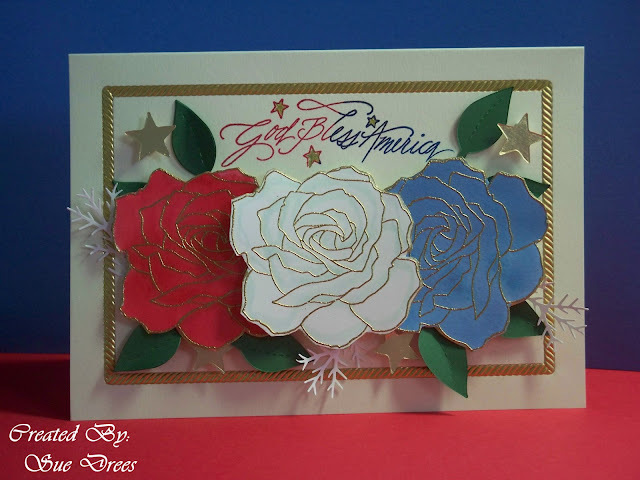 A beautiful card Sue, Happy 4th July. Wow, Sue, this is an outstanding patriotic card!! I love that you used flowers, gorgeous flowers! Great piece of art! Another fabulous creation, Sue! Love the roses!